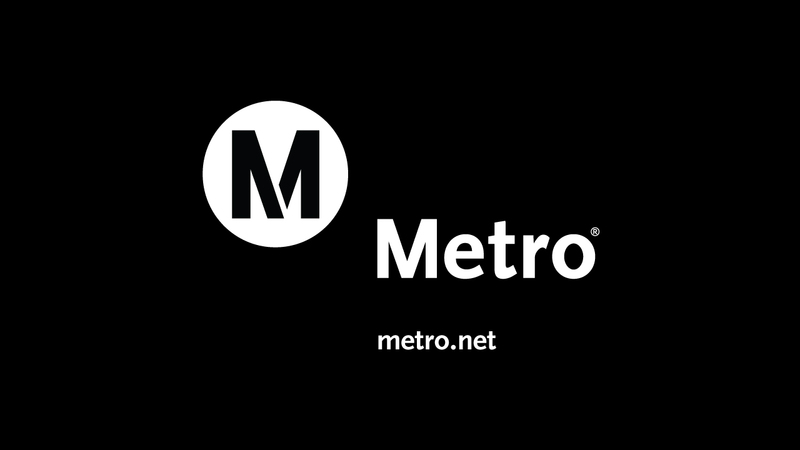 Metro produces videos to provide the public with the latest news and developments about ongoing transit projects and programs, bus routes and rail services, safety and security, and much more. Metro video playlists, listed below, contain more than 100 titles grouped by topic and presented in YouTube. Educational and informational videos of Metro services and history. Segments of Metro's quarterly TV show covering Southern California-related transit news and information. A video focusing on the event "of the moment" – grand openings, major announcements, etc. Accessibility features on Metro Bus and Rail. Showcasing art projects in the Metro system. Useful tips and information for traveling via bike on Metro. Useful information for Metro's non-English speaking patrons. Key points on how to be safe on Metro buses and trains. An assortment of speakers, events, and other videos featured on Metro's blog, The Source . Transit-related videos on miscellaneous topics from a variety of sources. Metro provides video to our customers via our public-facing website, metro.net and currently uploads all videos to YouTube and embeds them on our site. Click here for complete video guidelines and resources. Text captioning will appear in the lower third of the video display. Metro videos are hosted on YouTube allowing for fully integrated and accessible captions. Captions are set to display automatically and videos will only play once you click the PLAY button.